"In the end they will confess"
Despite the computationally challenging scenario, the research in this direction continued. “As of 1997, when a special issue on relevance including several papers on variable and feature selection was published [Blum and Langley, 1997, Kohavi and John, 1997], few domains explored used more than 40 features.”, [Guyon and Elisseeff, 2003]. Nowadays machine learning and data acquisition advances demand the processing of data with thousands of features. An example is microarray processing. Wang and Gotoh work on molecular classification and qualify feature selection as “one intractable problem [...] is how to reduce the exceedingly high-dimensional gene expression data, which contain a large amount of noise” [Wang and Gotoh, 2009]. Thanks to the advances produced in entropy estimation during the last two decades, the subject of my Ph.D. Thesis [Bonev, 2010] was on feature selection in high-dimensional feature spaces. [Hughes, 1968] G. F. Hughes. "On the mean accuracy of statistical pattern recognizers". 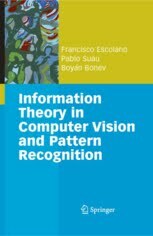 IEEE Trransactions on Information Theory. [Miller, 1984] A. J. Miller. "Selection of subsets of regression variables". Journal of the Royal Statistical Society. [Blum and Langley, 1997] A. Blum and P. Langley. "Selection of relevant features and examples in machine learning". Artificial Intelligence. [Kohavi and John, 1997] R. Kohavi and G. H. John. "Wrappers for feature subset selection". Artificial Intelligence. [Guyon and Elisseeff, 2003] I. Guyon and A. Elisseeff. "An introduction to variable and feature selection". Journal of Machine Learning Research. [Wang and Gotoh, 2009] X. Wang and O. Gotoh. "Accurate molecular classification of cancer using simple rules". BMC Medical Genomics. In the citation of Copas we can read "[...] Errors of grammar apart [...]". Are there any errors? "Data" is plural, that is why "they will confess".